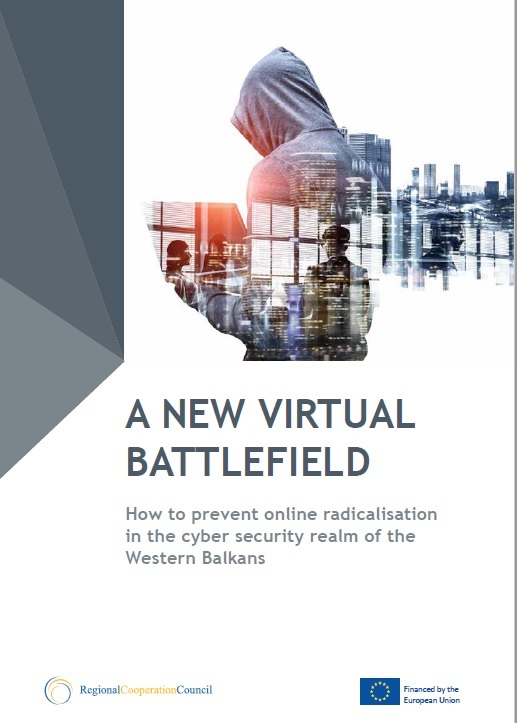 Regional Cooperation Council (RCC) commissioned a study on cyber security and online radicalization entitled “A NEW VIRTUAL BATTLEFIELD - How to prevent online radicalisation in the cyber security realm of the Western Balkans “. The main objective of this study is to provide a comprehensive overview and analysis of the situation regarding the cyber security in the Western Balkan Six (WB6) economies but also offers recommendations for enhancement cyber security and prevention of online radicalisation on regional and national levels. The study contains two chapters: Cyber Security in the Western Balkans, and Online Radicalization in the Western Balkans. The first Chapter focuses on traditional cyber security concerns, while the 2nd one aims at expanding the understanding of cyber security beyond traditional narrow perspective by including information operations, with a focus on online radicalization. This study has been funded by the European Union (EU) within the IPA II 2016 Regional Action on P/CVE in the Western Balkans.